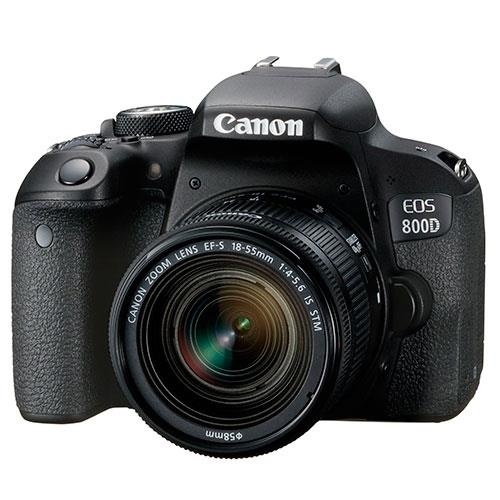 The Canon EOS 800D is a simple-to-use DSLR with next-generation technology, giving great performance in low-light and when shooting high quality movies. 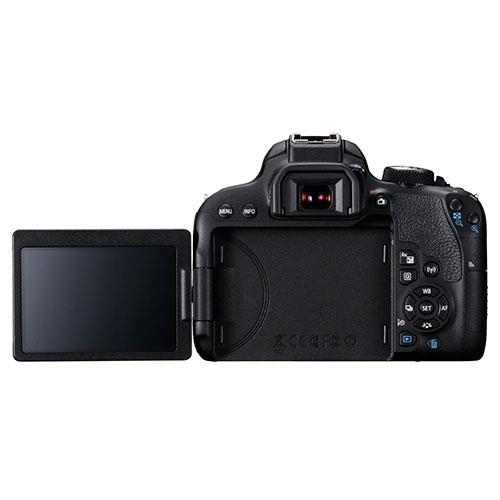 Features include a 24.2 megapixel sensor, super-fast focusing, 6 frames-per-second continuous shooting, Vari-Angle LCD screen, Wi-Fi connectivity. A next-generation 24.2-megapixel sensor captures lots of detail, even in low light and high-contrast conditions. A DIGIC 7 processor produces images that are ready to print, crop and edit straight from the camera. And with plenty of creative control you can produce that shallow-focus look typical of DSLRs. 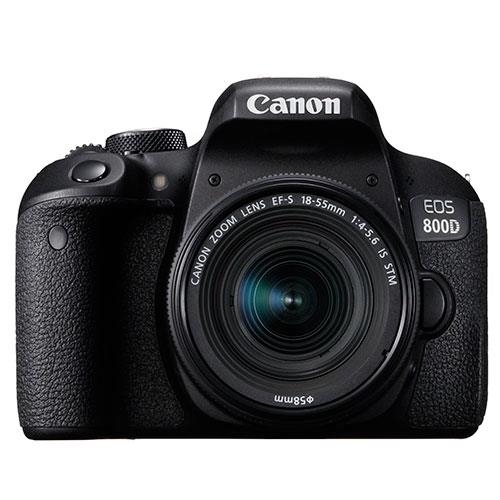 The EOS 800D is incredibly fast to use, with 6 frames-per-second continuous shooting and a bright optical viewfinder that shows the world in real time. When composing pictures on the camera's Vari-Angle screen, the super-fast Live View AF system focuses in as little as 0.03 sec, for pin-sharp results. Full HD movies can be so simple to make. 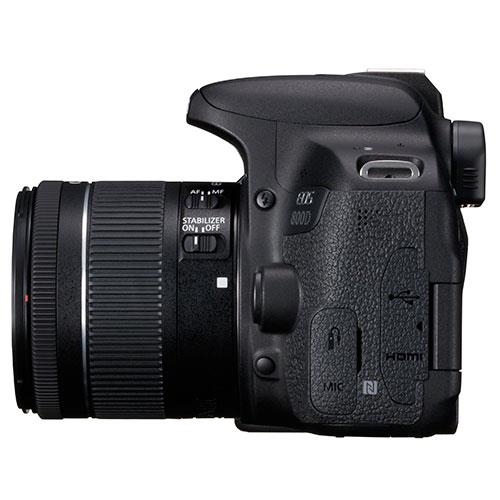 Dual Pixel CMOS AF tracks subjects as they move, focusing smoothly for professional-looking results. 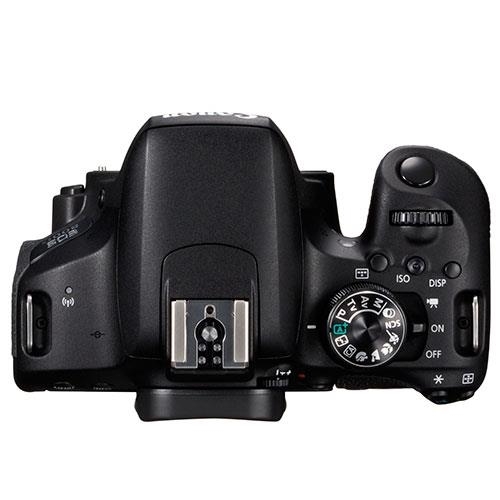 In-body 5-axis Image Stabilizer irons out camera movements when shooting hand-held, and HDR Movie Shooting helps capture detail in highlights and shadows. The results look superb, both online or on your home TV. 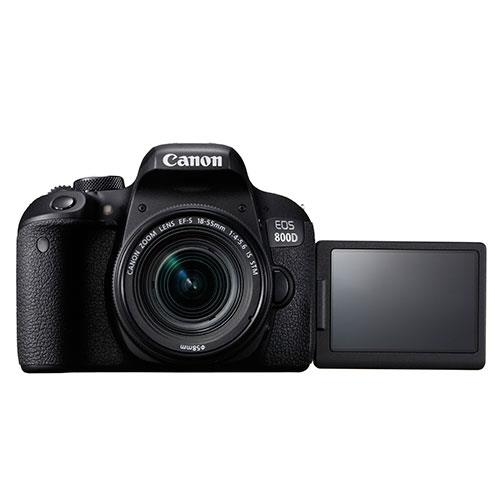 It's easy to connect your EOS 800D to an iOS or Android smart device using Wi-Fi for remote camera control and wireless photo/movie transfer. Just tap an icon in the Canon Camera Connect app to connect using an always-on Bluetooth® link, or touch the camera against an NFC-equipped Android device. 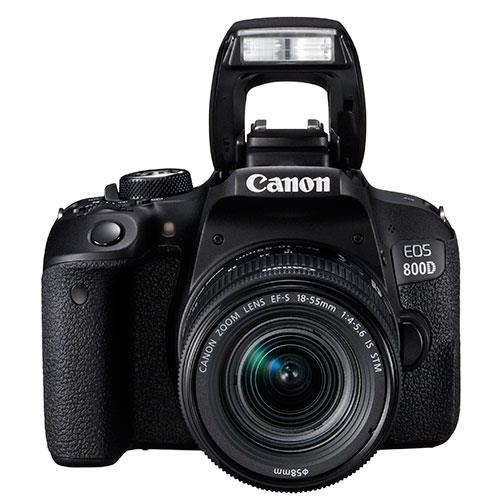 Shoot photos and movies from low-down or overhead, using the EOS 800D's Vari-Angle touch screen to compose the scene. Focus and shoot with a single tap.